People who have had Medicare Part B for longer than 12 months are eligible for a free wellness exam. The phrase “there is no free lunch” certainly applies to Medicare. While the federal program pays the lion’s share of medical costs, beneficiaries can still spend thousands of dollars each year on premiums, deductibles, copays and other out-of-pocket expenses. But the Affordable Care Act (ACA) expanded access to free preventive care, and that included some important Medicare services. Here’s a list of some examinations and screenings Medicare recipients now get for free. A “Welcome to Medicare” preventive visit. This is available only in the first 12 months you are on Part B. It includes a review of your medical history, certain screenings and shots, measurements of vital signs, a simple vision test, review of potential risk for depression, an offer to discuss advance directives and a written plan outlining which screenings, shots and other preventive services you need. This visit is covered one time. Annual wellness visit. You’re eligible for this free exam if you’ve had Medicare Part B for longer than 12 months. The physician will review your medical history; update your list of providers and medications; measure your height, weight, blood pressure and other vital signs; and provide you with personalized health advice and treatment options. Note: While this visit is free, the doctor may order other tests or procedures for which you might have a deductible or copay. Mammogram. An annual screening mammogram is free. If you require a diagnostic mammogram, you’ll pay a 20 percent copay and the Part B deductible will apply. Colonoscopy. A screening colonoscopy once every 24 months is free if you're at high risk for colorectal cancer. If you aren't at high risk, Medicare covers this test once every 10 years. Diabetes screening. You’re eligible for two free screenings each year if you have a history of high blood pressure, abnormal cholesterol levels, are obese or have a history of high blood sugar levels. The screenings will also be free if two or more of these issues apply to you: You are over 65, are overweight or have a family history of diabetes, or you had diabetes when you were pregnant. Prostate cancer screening. An annual PSA test is free. A digital rectal exam will cost you 20 percent of the Medicare-approved amount plus the doctor’s services related to the exam. The Part B deductible also applies. Vaccines. Annual flu shots, vaccines to prevent pneumococcal infections such as pneumonia, and shots for hepatitis B (for those at high or medium risk) are covered free of charge. 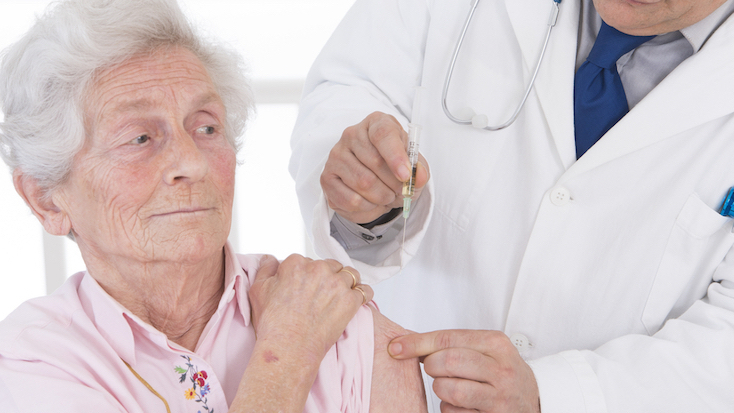 Note: The shingles vaccine is not covered by Part A or Part B, but it may be covered by your Medicare Advantage (MA) plan or your Part D prescription drug plan. Cardiovascular disease (behavioral therapy). As a Medicare recipient, you also get a free yearly visit with your primary care provider to help you lower your risk for cardiovascular disease. Lung cancer screening. An annual test with low-dose computed tomography (LDCT) is free if you are between 55 and 77, don’t have any signs of lung cancer, are a smoker or have quit in the past 15 years, and you have a tobacco smoking history of at least 30 “pack years” (meaning you smoked an average of one pack a day for 30 years). Depression screening. A yearly screening is free if conducted in a primary care center where follow-up and referrals are available. Copays may apply for follow-up care. FYI...This is NOT medical advice. Talk to your health care provider. In 2013, pharmacy benefits manager Express Scripts estimated that the United States wasted $418 billion on “bad medication-related decisions”—with $55.8 billion alone on high-priced medications when more affordable drugs could have been used instead. Expensive is simply not always better. Here are ten prescriptions that are usually very expensive, even with insurance. All of them have cheaper alternatives that work just as well. Vimovo. This is a mixture of the anti-inflammatory naproxen and generic Nexium, which is esomeprazole. Here’s an idea: instead of paying hundreds of dollars for this, get generic naproxen 500 mg tablets and 20 mg tablets of esomeprazole and there you have it: your own Vimovo for just pennies. Dexilant. This is a very expensive brand-name proton pump inhibitor (a class of drugs that includes Prilosecand Protonix). A number of studies have compared the various proton pump inhibitors to one another and while some differences have been reported, they have been small and of little clinical importance. Do yourself a favor and give lansoprazole or pantoprazole a try instead. Benicar. Used for high blood pressure, this is an expensive brand-name angiotensin receptor blocker (ARB) in a class that has many generic options. Benicar is certainly no better than the cheaper drugs in the class (valsartan and losartan are examples). Plus, Benicar can produce a “sprue-like enteropathy” which gives you severe chronic diarrhea and weight loss, and can occur months to years after starting the drug. Hmmm. Vytorin. This is a mixture of simvastatin and Zetia (ezetimibe). Unless you’ve recently had a heart attack, you don’t need to waste money on this and here is why: statins, like the cheap generic simvastatin alone, are the first choice in virtually all patients with high cholesterol in whom the goal is reduction of cardiovascular risk. People have been paying for Vytorin for years and yet it remains “uncertain” whether the combo of simvastatin and Zetia that makes up Vytorin provides additional clinical benefit. A recent study showed benefit in people hospitalized after heart attack but for most people, stick with just the simvastatin part and don’t bother with the combo. Bystolic. There is no evidence this beta blocker is better than two similar generic options, metoprolol and carvedilol. Bystolic is what is known as a “beta 1 selective” beta blocker used for the treatment of high blood pressure and it does provide a survival benefit in patients with heart failure. Sounds great, right—but wait. In heart failure patients, there are three beta blockers that have shown survival benefit. You guessed it: metoprolol, carvedilol, and Bystolic. Metoprolol and carvedilol are generic and much cheaper so there is no reason to pay money here. Zafirlukast (Accolate). Though available as a generic, it is still much pricier than the other option in the same class, montelukast (Singulair). There is no proof that zafirlukast is any better than montelukast for asthma, and in fact, montelukast is usually preferred because it is used once daily and can be taken at any time in relation to meals. Celecoxib (Celebrex). Celebrex, used for arthritis, has just recently become available as generic celecoxib so it’s still quite expensive and many folks pay a high price for it. However, meloxicam (Mobic), another Cox-2 inhibitor similar to celecoxib, is much cheaper and also works well for the treatment of osteoarthritis and rheumatoid arthritis. Pristiq. This is an expensive brand-name SNRI antidepressant used for depression and fibromyalgia. There is no evidence that Pristiq is any better than the cheaper generic duloxetine (Cymbalta) for fibromyalgia. For depression, there are two generic SNRI options in this class, venlafaxine and duloxetine. You should try those first before paying for Pristiq. Pataday. These antihistamine eye drops are used for red, itchy eyes related to allergies. Patanol and Pataday are expensive brand name eye drops in this class which includes azelastine (Optivar) as a good generic option that is much cheaper. Pataday carries the advantage of once daily dosing compared to twice a day but is it worth the cost? Avodart. Two 5-alpha-reductase inhibitors are approved in the US for symptoms related to enlarged prostate: Proscar (finasteride) and Avodart (dutasteride). One is cheap, one is not. In a large one-year study, finasteride and the more expensive Avodart worked just as well for reduction in prostate volume, urinary flow rate and urinary symptom scores, and adverse effects were similar. Don’t waste your money on Avodart when you can save on finasteride. It would appear without full, universal coverage at an affordable price, (single payer) we as an economy face major financial downside. Leaving Obamacare to “explode,” as the Mr. Trump puts it, is not the answer. Some 30 million of us already have zero coverage. Tens of millions more face that prospect if major insurance companies continue to abandon Obamacare. Seven Medicare Part D Costs to Prepare For...Switching plans might allow you to reduce your prescription drug costs. Medicare Part D beneficiaries are eligible to change Medicare Part D plans each year between October 15 and December 7, and for most people it's worth considering a switch. Two-thirds of Part D plan enrollees are facing premium increases if they stay with their current plan in 2017, according to a Kaiser Family Foundation analysis of 2017 Medicare Part D plan offerings. But premium prices are only one aspect of selecting the Medicare Part D prescription drug plan that best meets your medication needs. Many other factors influence your out-of-pocket costs including the plan's formula of covered medications, deductible, co-pays, coinsurance and network of preferred pharmacies. Here are the costs you should consider as you select a Medicare Part D plan for next year. Premiums. The average Medicare Part D premium will be $42.17 in 2017 if retirees stick with their current plan, according to KFF projections. That's a 62 percent increase from the average of $26.04 per month retirees paid in 2006, the year the Medicare Part D drug benefit was introduced. However, premiums vary widely among plans. Among the 10 plans with the highest enrollment, premiums range from $16.81 to $71.66 per month. Medicare beneficiaries have an average of 22 Medicare Part D plans to choose from, so most retirees have a variety of options to consider. Deductibles. The standard Medicare Part D deductible will increase by $40 to $400 in 2017. The majority of Part D plans (62 percent) will charge a deductible in 2017. The standard deductible is the most common amount, but some plans have smaller deductibles or no deductible. Copays and coinsurance. Most Part D plans have five tiers of covered medications with different cost-sharing requirements. There are typically two tiers for generic drugs, with small or no copayments for preferred generic drugs and slightly higher copays for medications on the non-preferred generic tier. The next tier is for preferred brand name drugs, which typically involves a $40 copayment in 2017, but a few plans charge 20 percent of the cost of the medication. The cost often jumps to 40 percent of the price of the medication for drugs on the non-preferred brand name tier. Most Part D plans also have a specialty medication tier for expensive drugs, and plans generally charge either 25 percent or 33 percent of the cost of the medicine. Enrollees usually pay higher out-of-pocket costs when plans pass on a percentage of the price of the drug to patients rather than a set copayment amount, KFF found. The coverage gap. Medicare Part D has a coverage gap, which is often referred to as the donut hole. Retirees who spend enough money on prescription drugs to enter the coverage gap will need to pay for 40 percent of the cost of brand-name drugs and 51 percent of the price of generic drugs until their expenses are high enough for catastrophic coverage to kick in. Most Part D plans (72 percent) don't provide additional gap coverage beyond what is required, KFF found. Out-of-network pharmacies. Most Part D plans (85 percent) have preferred pharmacies where retirees can fill their prescriptions at a lower cost, up from 7 percent in 2011. If you choose to use a different pharmacy, the out-of-pocket cost for the same medication is higher. For example, one plan charges a $1 copayment for preferred genetic drugs and $4 for non-preferred generic drugs at a preferred pharmacy, but those cost-sharing requirements climb to $10 and $20, respectively, at a non-preferred pharmacy. Drugs that aren't in the formulator. Each Medicare Part D plan has a list of covered drugs called the formulator. You can check to see if your current medications, or medicines you expect to need in the coming year, are covered by each plan and at what price. Plans are allowed to change their formulator each year, so you will need to repeat this search annually. Some plans also place restrictions on certain drugs, such as limiting how much of a given medication you can buy at a time, requiring you to try a lower cost drug before the plan will pay for a higher cost alternative or requiring you to get prior authorization before you can fill certain prescriptions. Take a close look at the covered medications and the drug restrictions before purchasing a plan. Late enrollment penalty. Most people first become eligible for Medicare Part D during the seven-month period that begins three months before the month they turn 65. It's important to sign up during this initial enrollment period, because a late enrollment penalty is permanently added to your Medicare Part D premiums if you go 63 or more days without prescription drug coverage after becoming eligible for Medicare Part D.
Source: Emily Brandon is the author of "Pensionless: The 10-Step Solution for a Stress-Free Retirement." ﻿Would you call a U.S. program that helps 7 million seniors save money on Medicare annually “unnecessary”? Probably not. But a network of more than 3,300 free Medicare counseling services could lose its $52 million in federal funding due to budget cuts. The State Health Insurance Assistance Program (SHIP) is on a list of more than a dozen programs lined up to get the axe from the Senate Appropriations Committee. “Duplicitous or unnecessary,” said U.S. Senator Roy Blunt, explaining the rationale. The Missouri Republican probably meant “duplicative” there, but never mind. He is wrong either way. This is one SHIP that definitely should be kept afloat. Navigating the Medicare program is complicated - more complicated than it needs to be. Over the years, Congress has added coverage options built around marketplaces offering commercial plans. The typical senior selecting a Part D prescription drug plan must choose between an average of more than 20 choices, according to the Medicare Rights Center (MRC). Those who opt for a Medicare Advantage plan must choose from an average of 19 possible prescription drug plans. That approach is driven mainly by conservative ideology, which holds that the private market can deliver superior efficiency and products. But there is precious little evidence that this approach works in healthcare. Independent studies have shown repeatedly that Medicare enrollees waste money by over-insuring themselves in the Part D program. A new analysis of hospital networks in the Medicare Advantage program by the Kaiser Family Foundation (KFF) finds spotty participation by hospitals in plans, and that shopping for a plan with a specific hospital in network “can be tough for consumers.” The study also finds that some plans lack access to the highest quality academic medical centers. Medicare offers an annual enrollment period during which beneficiaries can shop for new prescription drug or Medicare Advantage plans. During last year’s autumn enrollment period (Oct. 15 to Dec. 7), SHIPs helped nearly 1.1 million seniors, according to MRC data. Very few enrollees bother to re-shop their coverage annually - but they should. Insurance companies often change their offerings year-to-year in ways that can increase drug costs, or make it more difficult to obtain certain drugs. At the same time, a senior’s drug needs may have changed since the last plan selection period in ways that make a plan less beneficial. A study by the Kaiser Family Foundation found that, on average, just 13 percent of enrollees voluntarily switched their drug or Medicare Advantage plans - but that nearly half of those who did switch plans saved at least 5 percent the following year, mainly on premiums. SHIPs also helped nearly 1.3 million low-income seniors with Medicare enrollment last year, according to MRC. Much of that work was focused on options to save money on premiums, such as Extra Help, which often covers up to 75 percent of prescription drug costs (reut.rs/1OXKZ9b). About 1.2 million low-income beneficiaries who qualified for Extra Help were enrolled in higher-cost Part D plans last year, according to KFF - a sure sign that greater outreach and assistance is needed. SHIPs also help with enrollment in Medigap plans, which help cover gaps in traditional Medicare such as copayments, coinsurance and deductibles. They also can help seniors make sure they enroll on time, avoiding costly late enrollment penalties. The budget cuts approved by the Senate Appropriations Committee were part of a broader move to increase funding in some areas where dollars are needed. All told, $2 billion would be shifted to the National Institutes of Health, and used to restore year-round Pell Grants for college students, and to increase resources to prevent and treat opioid abuse. SHIP funding actually has declined against inflation - spending for fiscal 2017 would be just over $66 million if it had kept up with inflation, according to the National Council on Aging. A vote by the Senate is not expected until this fall, and the House of Representatives has yet to weigh in. Here is hoping that Congress can somehow right the SHP.